Prince Harry and (the future Princess) Meghan Markle are engaged. 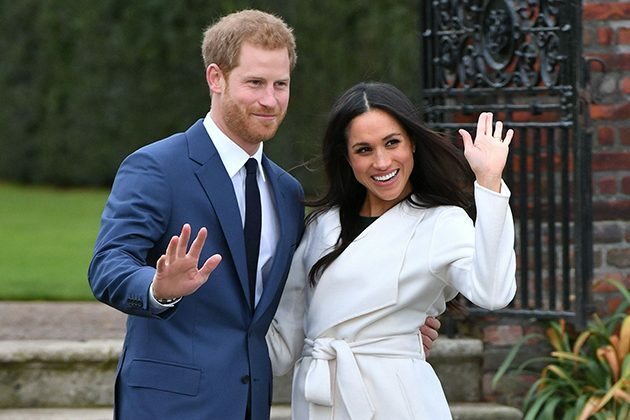 She is leaving her job on Suits to join him in the UK and their long-distance relationship is coming to a close as they transition to a live-in couple. Jess joined Carolyn (yay!) to discuss long distance relationships on The Morning Show. Check out the summary and video below. And don’t forget to listen to Jess’ podcast as she discusses her part-time long-distance relationship with her hubby, Brandon Ware. 1. Meghan is leaving her career to become a full-time princess. Is it healthy to leave a career and life behind for love? She’s leaving one career and moving into another. Of course, it’s okay to ditch a career for a relationship. Not only is she moving into a new and exciting career which will probably involve fulfilling charity work and fundraising, but if you ask almost anyone, they’ll always say that they value their relationship and family more than their career. Why should the rich and famous be any different? My only caution would involve maintaining connections to your own family and social network — and with all the money and private jets at their disposal, I’m sure she’ll have plenty of opportunities to maintain connection should she choose to do so. 2. These two have been long distance for a while – how do you make a relationship work from afar? I always suggest that you look at the relationship in three parts — the before, during and after. How do you make time for one another and make your partner feel loved before they (or you) leave? Do you carve out quality time or take time off of work? How do you connect while you’re apart? Do you make sure that you both initiate phone calls? Do you agree upon how often you’ll speak versus text? How do you manage coming back together? Oftentimes we’re so excited to meet up again that we don’t realize that there is a serious adjustment period. Couples are often so happy to reconnect in the days leading up to their reunion, but then tension builds and fights are common once they’re back together. You have to prepare for this possibility to reduce its likelihood. 3. What’s the biggest mistake people make in long distance relationships? They waste all of their time on “updates” instead of having meaningful conversations. You obviously want to fill your partner in on what you’ve been up to, but you also want to have more deep and meaningful conversations about how you’re feeling, new revelations, discoveries, vulnerabilities, etc. 3. Can you really maintain a connection if you’re thousands of miles apart? Of course! Physical affection is one way to express love, but there are many others! I always suggest that you try to connect over Skype/Facetime so that you can look each other in the eye. We know that oxytocin levels increase when you stare into your lovers’ eyes in real life, so we’d like to assume that you derive at least some of the bonding benefits through on-screen eye contact.